Kuwait, December 13, 2016: Travellers flying on Etihad Airways from Kuwait to the United States are able to experience the benefits of arriving in the US having pre-cleared US Customs and Border Protection in Abu Dhabi. The US preclearance facility at Abu Dhabi International Airport Terminal 3 is the only one of its kind in the Middle East and provides travellers with a unique opportunity to pass through all required checks including US customs, immigration and security, conveniently before they board their flights to the US, enabling them to avoid long queues on arrival. With this unique facility, guests can also through-check their baggage to their final destination in the US, where they arrive as domestic passengers, allowing them to save valuable time connecting to other flights or on to their final destination. 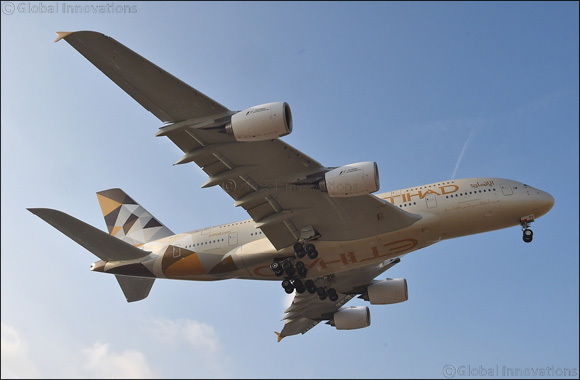 US destinations served by Etihad Airways include New York (JFK), Chicago (ORD), Dallas-Fort Worth (DFW), Los Angeles (LAX), San Francisco (SFO) and Washington D.C. (IAD). First and Business Class guests travelling to any of the six US destinations from Abu Dhabi can use the stylish US Premium Lounge, located within the US preclearance facility, after having cleared US Immigration and Customs.